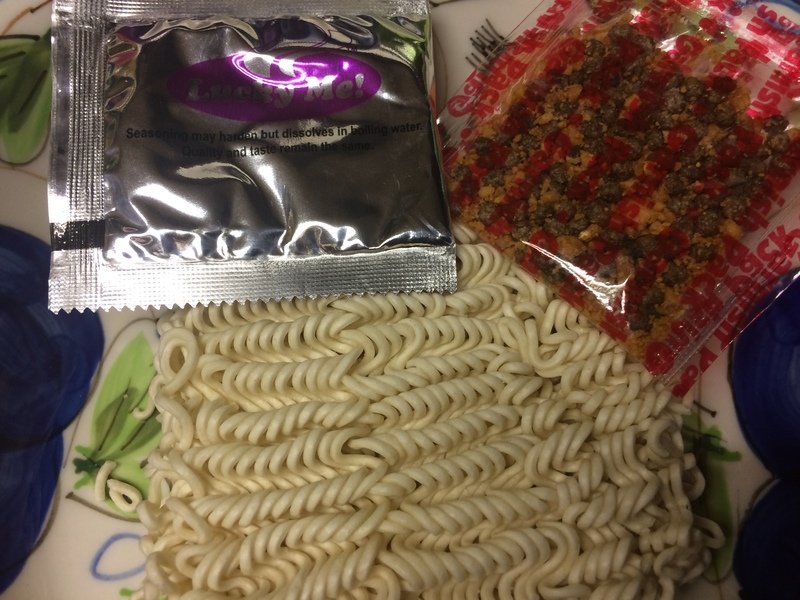 Good flavor, comes with flavor packet and garnish packet. The instructions call for 2 cups of water, but the seasoning is potent enough to season them well. Slightly spicy but not overly so. 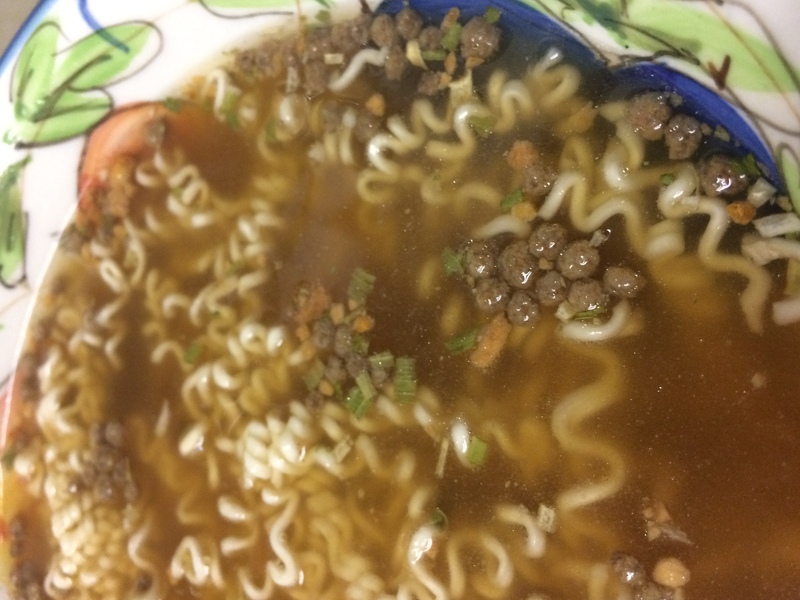 There are odd meat-ish flavored balls in the garnish. They tasted okay, but a little TVP (textured vegetable protein) tasting and may not be to everyone’s taste.